I love my apartment. My friend Sarah and I recently discussed how we want to die in our apartments and even then we don’t want to leave them. I live in this amazing studio with a sun room in an awesome neighborhood in DC. Moved in two months after I graduated from college and I’ve lived there happily ever since. Here’s the ONLY problem… the walls are huge (because its basically one big room) and they are insane asylum white. They drove me crazy for months after I moved in … I just HAD to cover them with something. The stipulations of my lease say that I can nail / screw anything into the walls, but I cannot use adhesive. At the time I thought… awesome! I’ll just nail everything to the wall, super easy. Not so much. My walls are solid concrete. Trying to hammer a nail in there was a comedy of errors ending in one sore hand, many many many bent nails, but no holes in the walls. I initially had these really great photo collages that I made after college with hundred of pictures of me and my friends and all the fun stuff we did during college (READ: we were drinking in most of them). I used tape even though I knew I wasn’t supposed to. I figured, what could the harm be? Haha, I was about to find out. Last fall I decided that the days of the collage had come to an end. They were always falling down, the pictures were curling, one fell on me while I was sleeping, and I wanted to give the apartment a more “adult vibe”. When I pulled the collages down off the wall, however, I quickly realized why adhesives were not allowed in the lease. After a brief adventure with goof off and Spackle, and a shoddy re-paint job, my walls were back to insane asylum white. 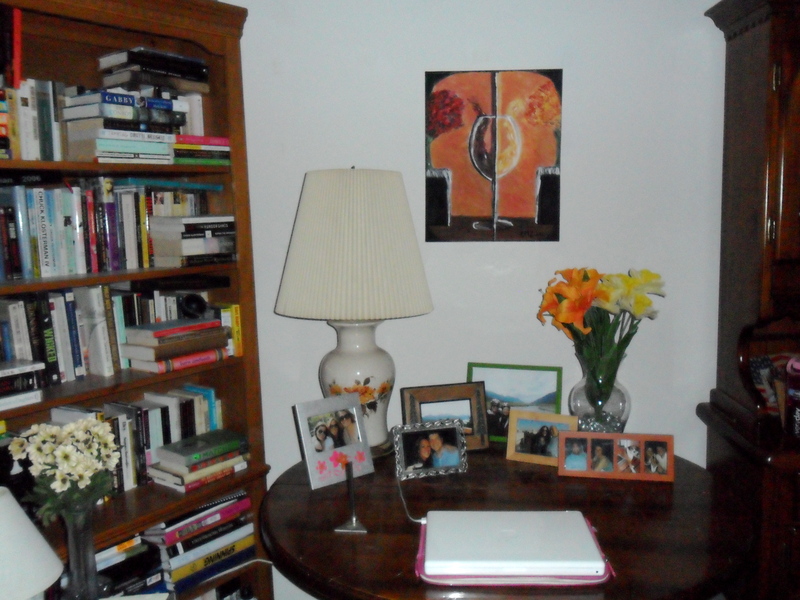 Over my “desk” area, I hung this painting done by yours truly. I did it in one of those painting / drinking wine classes I went to with a group of girlfriends. We got a coupon for it, so for $30 I got a night with my friends, two glasses of wine, and what I now consider to be my personal painting masterpiece. I think it was $30 well spent. 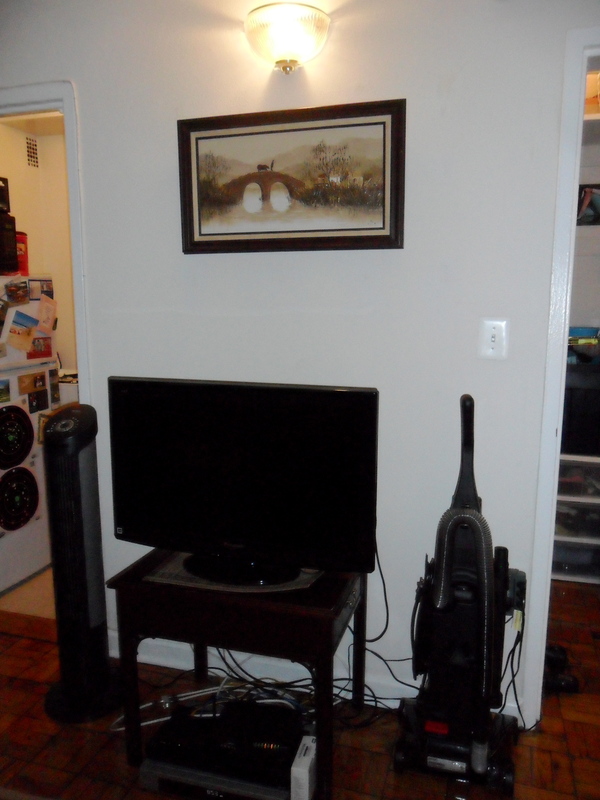 For the space over my TV (and yes my vacuum lives here too) I chose a painting that once belonged to my dad. It’s pretty cool and goes with my color scheme (my entire apartment is a green, brown, and gold theme). I like the idea of having this “handed down” piece. 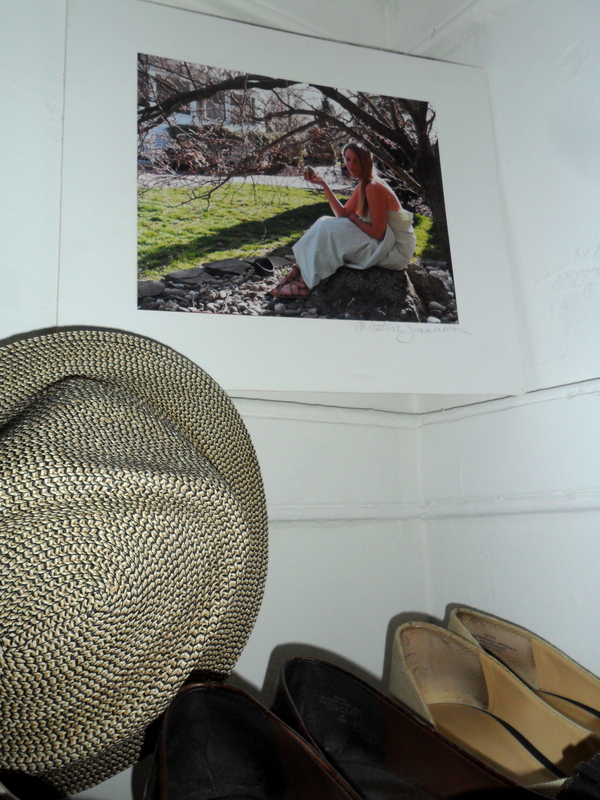 For my closet, I held on to two of my favorite photos from my high school photography years. They’re mounted but never framed so they’re really beat up. These were from a shoot I did focusing on “fashion”, so I think the closet is the ideal place for them to live. The other… living on top of my shoe rack (ok, one of my shoe racks). 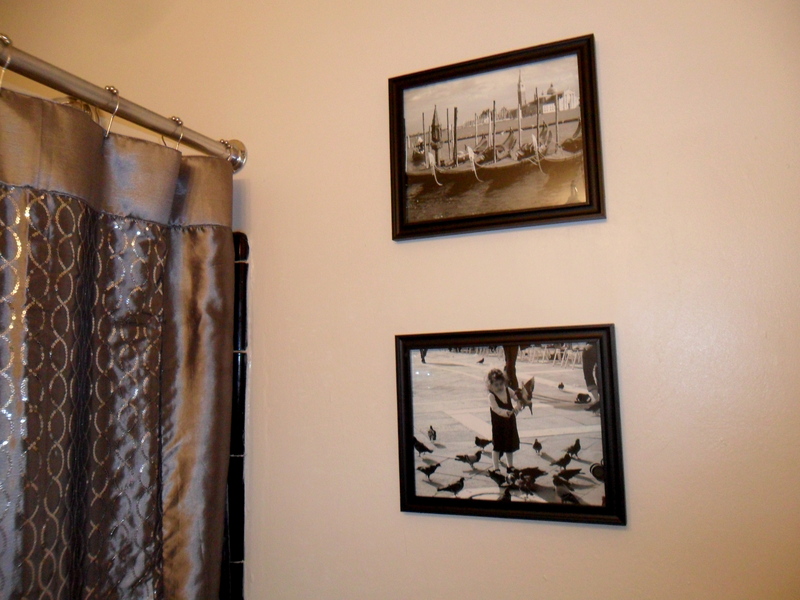 For the walls in the bathroom, I took two photos that I shot in Venice, blew them up in black and white, and framed them in simple black frames. The bathroom is the only room in my apartment that doesn’t follow the green, brown and gold theme. The tile is black and white and I’ve included silver accents with a little bit of purple. These two photos (one of a fleet of gondolas and the other of this adorable little girl playing with pigeons in St. Mark’s Square) are the perfect edition to the room. It cost $8 to print the 8×10 photos, and the frames were $3.50 each from Walmart. Amazing. 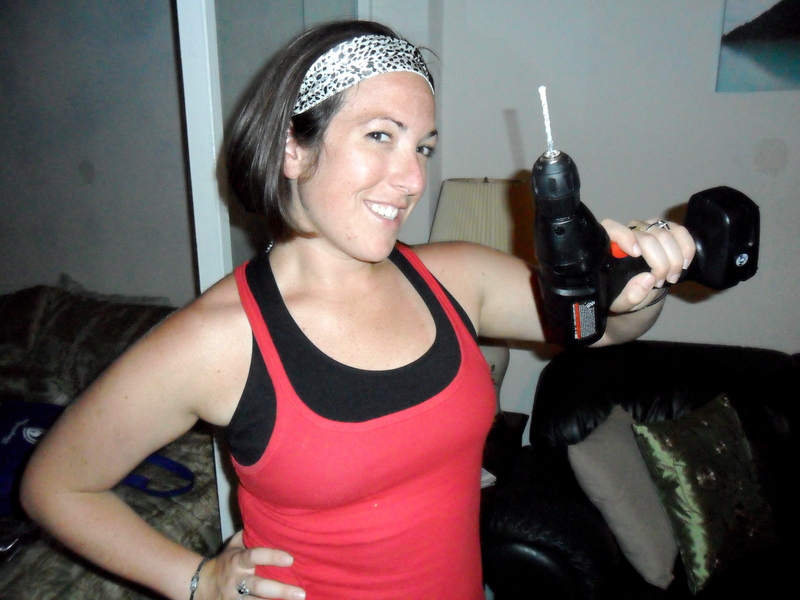 The wall over my couch was my biggest nemesis. It is positively huge and very wide. I decided to highlight some of the places I have traveled through favorite photographs. 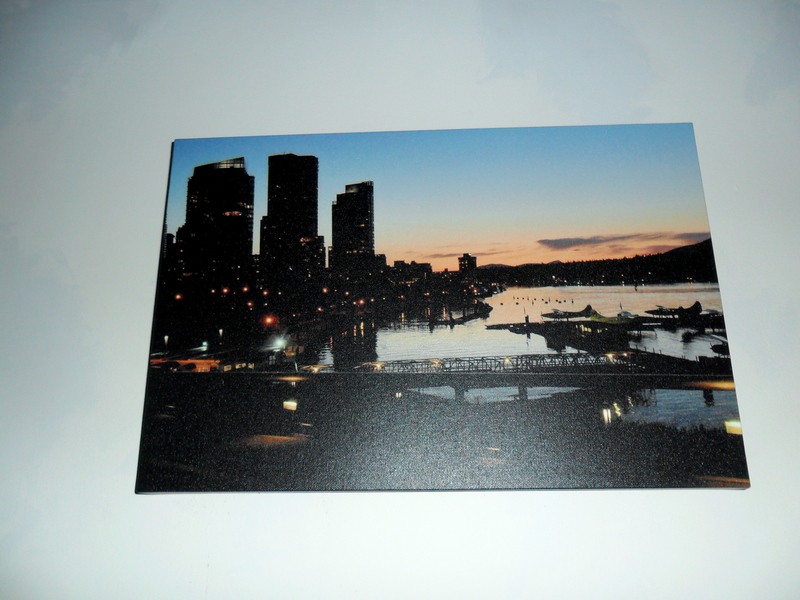 I selected three and ordered 12 x 18 in photo canvases from CVS photo ($34.99 each). They actually look smaller in the space than I had hoped, but they’re better than nothing! 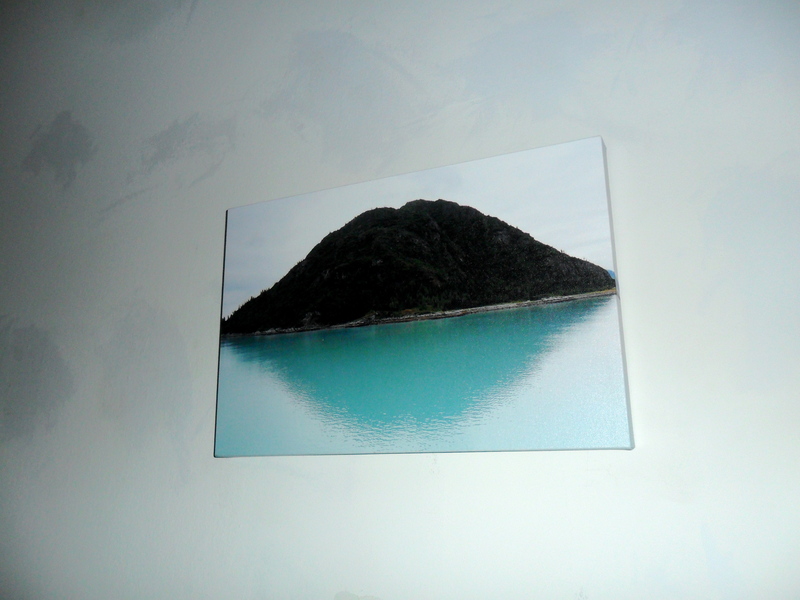 I also really, really like the individual canvases. 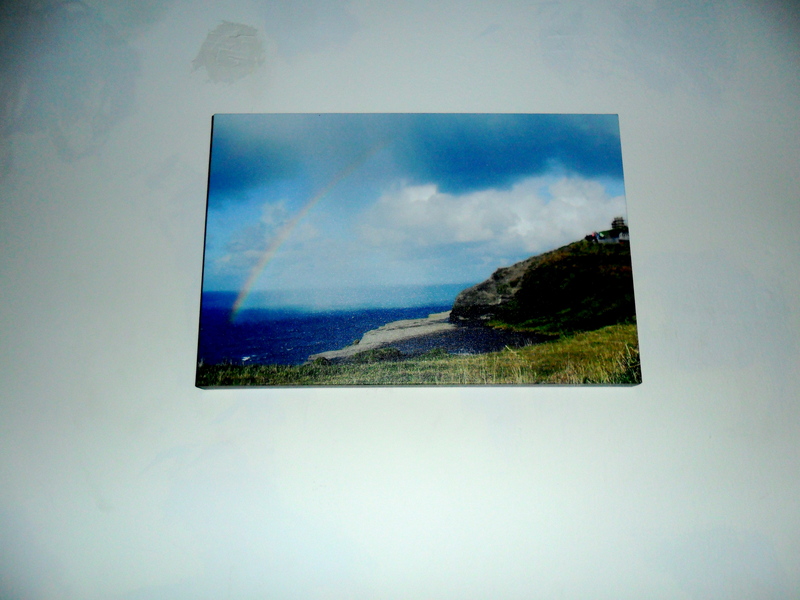 This is a photo I shot of a rainbow of the Cliffs of Moher in Ireland. This is the port in Vancouver at sunset. This is a mountain island in the Pacific ocean off the coast of Alaska.